FIFA 19's best young midfielders should be high on your wanted list if you plan to have a team that can take on the world in FIFA 19's career mode. Depending on your opponent you'll want to be able to field an attacking lineup across the middle or offer support to your backline with some combative holding players. This guide will help you find the best young midfielders in FIFA 19, including the FIFA 19 best young CM, LM, CDM, RM, and CAM players. Read on for complete listings of the players' stats and attributes. If you’re looking for more on FIFA 19, you should head over to our FIFA 19 Guides Hub. It’s got essential tips on playing FIFA 19, advice on how to defend, a look at how to earn FIFA Coins quickly, and more. We’ve gathered a list of the best young midfielders in FIFA 19. They’re broken up into each position, so that you can plan which ones you’ll need in your squad. Here are the best young CM, CDM, CAM, LM, RM players in FIFA 19. In terms of Left Midfielders, Ezequiel Barco is a great bet. He has huge potential, and will be relatively cheap to pick up. Leon Bailey is also a great pick, though is older and has less potential for growth. Also look out for players who can play in multiple positions. Some midfielders are only really happy in one role, while others can play centrally or on the wings. Youri Tielemans is our pick for best young centre midfielder in FIFA 19. He has the pace required to assist with defense and start off an attacking play if needed, and has a very high potential rating. If you're looking for a cheaper option, go for Nicolo Barella. Central midfielders are the key to unlock a defense, so pay particular attention to passing skills and pace. Some players can get by without speed, but it certainly helps to have a CM who can breeze past a defender. Ousmane dembele is probably the best choice for best FIFA young Right Midfielder, but will be seriously pricey. Instead, consider Marcus Edwards. He's 19, and while he's not great right now, he has potential for growth, albeit not as much as his stats allowed in last year's game. If you're looking for a great young centre defensive midfielder, you should take a look at Lucas Tousart. Another great choice is Locatelli, given that he's a little younger than the rest. 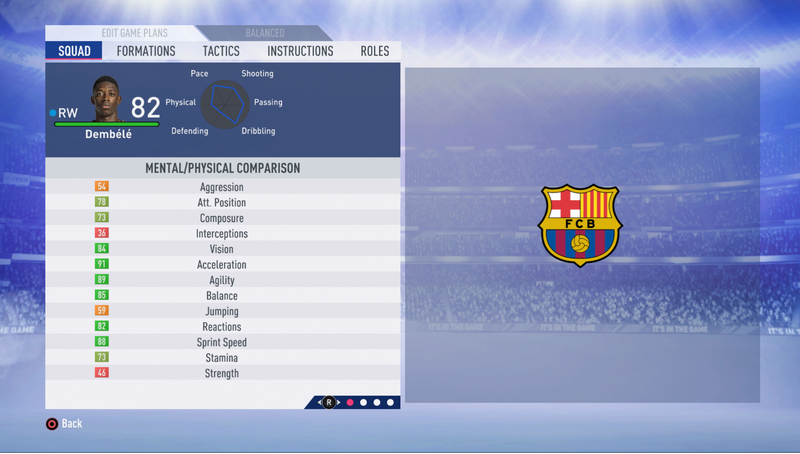 CDMs are the workhorses of FIFA 19, and shouldn't be overlooked if you play with a lot of forward midfielders and wingbacks. A player that will hold firm in the center of the field can help stop breaks and give teammates a chance to get back into defensive positions.